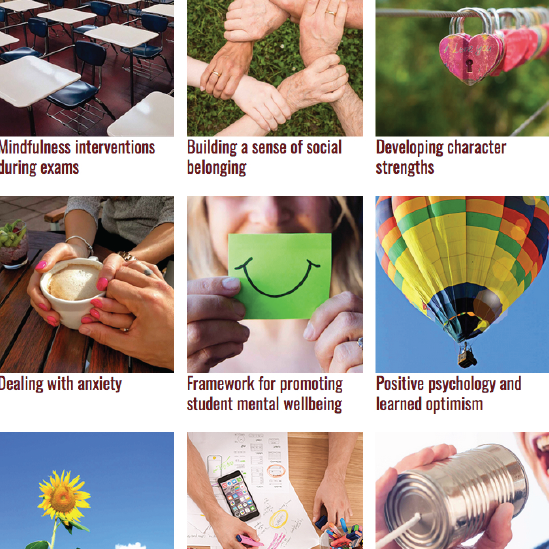 With support from Unite Students, AMOSSHE has created a resource bank of research, case studies and practical tools to help Student Services professionals develop student and staff resilience to stress, anxiety and similar barriers to achievement and success. Join us to officially launch our Resilience Toolkit and explore the positive, research-based approach to resilience that underpins it. “Resilience” is a hotly contested concept in higher education, and AMOSSHE takes the stance that this term should not be used to label students with negative judgements or place limitations on their abilities. Instead, AMOSSHE is focusing on what Student Services can do to develop supportive, enabling cultures for students and staff alike – for example, making improvements to physical and social environments, and providing approaches and support to help everyone achieve their potential. Take the opportunity to engage with the debate about resilience in higher education, explore a positive approach to enabling students and staff to develop resilience, discover resources to help enhance your Student Services work, and find out what your peers from other institutions are doing in this area. This one day event takes place at The Tower Hotel, St Katharine's Way, London E1W 1LD. Registration opens at 09:30, and the first session starts at 09:55. Dr Emily McIntosh (Director of Student Life, University of Bolton) explores concepts of, and research about, resilience in higher education, and describes the development of the AMOSSHE / Unite Students Resilience Toolkit. Izzy Lenga (Vice President Welfare, National Union of Students) discusses the impact of resilience rhetoric on students, and the reactions and perceptions that arise among students as a result. Jenny Shaw (Head of HE and Student Services, Unite Students) and Bradley Powell (SUVP Welfare Coordinator, Bournemouth University Students' Union) join Emily McIntosh and Izzy Lenga for a discussion about resilience in higher education, and what Student Services, student accommodation providers and students’ unions are and can do to enable student success through positive resilience approaches. Fiona Shaw (Mind Dorset) and Bradley Powell (SUVP Welfare Coordinator, Bournemouth University Students' Union) outline the progress of Bournemouth University’s AMOSSHE Insight project, which aims to develop a resilience course for students in residences, co-produced with students, based on Mind’s ‘Service Design in Mind’ toolkit. Julie Waddell (Disability Adviser) and Annette Davidson (Inclusion Manager) from Robert Gordon University discuss the development and impact of videos for students highlighting key resilience skills. Conrad Sackey (Head of Information and Advice, Anglia Ruskin University) outlines the progress of Anglia Ruskin University’s AMOSSHE Insight project, assesses the resilience levels of student care leavers in both university and private accommodation, with the aim of developing a needs-based support package. Catrin Davies (Careers & Employability Consultant - Learning & Teaching, The Open University) explores a resilience resource that focuses on developing career resilience through an interactive course. Abby Shovlin (Academic Transitions Adviser, University of Edinburgh Institute for Academic Development) discusses a resilience resource that explores the value of making mistakes and getting things wrong in supporting academic experience and performance.